On Saturday, more than 50 years after he started writing about the game, Roger Angell will be honored at the Baseball Hall of Fame in Cooperstown, NY. 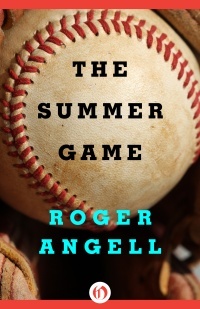 If you're unfamiliar with Angell's work, here's where to start: The Summer Game, the first of his three incomparable collections of baseball writing for The New Yorker. Get your copy of The Summer Game through Sunday for 80% off.